The Government Accountability Office is cracking down on the defective car list provided by the National Highway Traffic Safety Administration (NHTSA) because they’re claiming that the Administration is not doing its job of making sure defective cars get recalled and repaired, reports The Car Connection. As a matter of fact, the Government Accountability Office recently concluded that only 70 percent of cars and trucks that were recalled were repaired within 18 months. If consumers are not notified in a timely manner of these recalls, then the risk of being involved in a car accident in Massachusetts sharply increases. Our Boston personal injury attorneys understand how common these recalls are. It is important for there to be an effective system in place to make sure than consumers are being notified as quickly as possible about the possibly dangers defects. The Government Accountability Office says the NHTSA needs to step up their efforts.They suggest that the Administration improves its recall database website and provide notifications to used car buyers quicker. These concerns may be backed by solid numbers as a number of vehicles that are recalled are never repaired. When vehicles are sold or traded to dealerships or random independent buyers, getting that information to the deserving individual may be rather difficult, a lot more difficult than if the car is sold to a family member or close friend of the original owner. While vehicle manufacturers are virtually unable to track down current owners that are not listed in their databases, it is then the job of the Administration to ensure recall compliance. Right now, the NHTSA has a database that anyone can search. This database includes vehicle investigations and recalls. Consumers can even sign up to receive e-mail alerts about vehicle recalls. They can also be notified about dealers that can perform recall repairs, which will generally do for free for the consumer even if your vehicle’s warranty is expired. If you’ve still got some doubt, you’re urged to get in contact with a local dealer. They can help to verify if a particular recall repair has been completed on your current vehicle. As a matter of fact, the Chrysler Group recently recalled more than 11,350 cars, minivans, and other models. 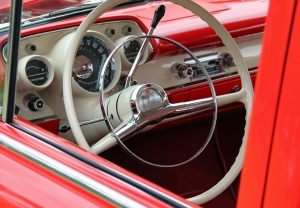 The recall was made after a manufacturing problem was discovered that can cause the steering wheel to collapse improperly during the event of a collision. Chrysler says that it does not know of any accidents or injuries caused the by the problem. The recall affects 11 of the 20 models that Chrysler has on sale for the 2011 model year. The missing or incorrectly installed rivet on the Chrysler vehicles can cause the problem and increase the risk of injury in a crash. The vehicles that are recalled were built from mid-April to mid-May. The improperly installed rivets are supposed to hold the steering column adjustment mechanism in place. If one is missing or misaligned from the steering wheel then the steering column may not collapse properly when the driver’s body strikes it in the event of an accident, according to The Associated Press. Dealers are available to check to make sure the rivet was installed correctly on your vehicle if needed. If not, they will be making repairs free of charge.